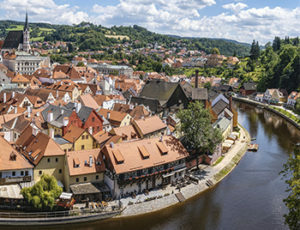 Discover the Czech Republic with DHL Express! The Czech Republic is landlocked between Germany, Austria, Slovakia and Poland. 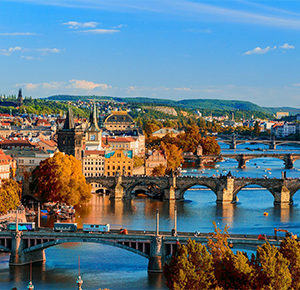 The capital Prague is the most populated city and a popular tourist destination. The currency is the Czech crown. In the 1990’s , the former communist state transitioned into the modern country we know today. In 1999, the Czech Republic joined the NATO. And in 2004, it joined the EU. The Czech economy focuses mainly on the industrial sector. In particular, the automobile industry is a major growth factor. In addition, the economy profits heavily from its exporting culture. The biggest business partners are Germany and the other EU countries. Keeping all this in mind, it is clear that this growing economy is an opportunity for any investor. DHL Express can help you to develop your business within the Czech Republic. Due to our strong local network, we safely deliver your important packages and documents to any destination. Simply ship to cities like Prague, Pilsen and Brno. Go ahead, we even cover the most remote areas!